DC vs MI: Delhi Capitals (DC) is all set to lock horns with Mumbai Indians (MI) in the 34th match of IPL at the Feroz Shah Kotla stadium, Delhi. Both teams are strongly competing for the 2nd slot in the IPL standings with both teams having 10 points each in their kitty. The Delhi Capitals have been on a winning spree. After winning three games away from home, the DC team will look to win one at home too. However, they are playing against an in-form Mumbai Indians and hence the stakes are further high. Given that both teams are in fine form, it will be interesting to see who’ll dominate. Their previous encounter saw Delhi Capitals comfortably sealing a victory, and Rishabh Pant was indeed the star of the match for his stellar performance, scoring a quickfire 78 runs off 27 balls, taking their team total to a staggering 213/6. In response, Mumbai Indians could only manage to put up 176 runs on the board, as DC bowlers Ishant Sharma & Kasigo Rabada restricted the batsman to score big by taking 2 wickets each, ensuring that DC gets a 37-run win. But this game is a lot different from their previous fixtures. Both teams are coming into this game after comfortably winning their previous games. Delhi Capitals sealed a 39-run victory against the Sunrisers Hyderabad (SRH) in Hyderabad. Though they couldn’t manage to set a good target for the home team, their bowlers did the job for them with Kasigo Rabada taking 4 wickets by giving away 22 runs, turning out to be the star of the match. Others too joined the wagon with Chris Morris (3/22) and Keemo Paul (3/17) bowled out Sunrisers for just 116 runs. On the other hand, Mumbai Indians faced a confident Royal Challengers Bangalore, who were coming into the game after registering their first ever victory in IPL this season. RCB put up a decent performance with half-centuries from AB de Villiers and Moeen Ali taking the team total to 171/7. Their bowling too was good only until Hardik Pandya arrived at the crease. From a struggling 129/4 in the 16th over, MI managed to win the game and it was Hardik Pandya’s heroics that sealed the victory for MI. Hardik was phenomenal with his bat, by scoring an unbeaten 37 off 16 balls. Are your FanFight teams for DC vs MI ready? Experience fantasy cricket game at its absolute best on India’s finest fantasy sports platform. Compete against thousands of cricket geeks & win big. The games between MI and DC have always been that of equals. The stats state the same too. Out of the total of 23 games played between these sides, DC has just one more than MI. DC recorded 12 wins, while MI recorded 11. However, this minute difference explodes into a major one, when one looks at their performance in the Delhi stadium, where the hosts won 6 out of the 9 games played. The Delhi pitch has turned from a slow pitch to a batting pitch, over the course of this season. The average score on this pitch are in the range of 150-155. This could be a result of the dew factor. As a result of which, the team winning the toss would mostly opt to field first. Weather in Delhi may be of concern, as there is a slim chance of the city experiencing rains. However, the forecast states that rains will hit the city predominantly in the day and will soon clear up towards the evening. During the course of the match, the temperature is expected to hover around the 25-degree mark. The humidity will also increase towards the evening, inviting the dew effect to play its part in the game. DC don’t really have a reason to seek changes. The current team has been winning games handsomely for the team and the aim will be to continue doing so. However, DC’s head coach recently hinted at Rahul Tewatia returning to the team. The possible trade for Rahul could be Amit Mishra. Colin Ingram, who was blessed with his second child, is yet to return to the team. His place was filled in by Colin Munro, who did well in the game against Sunrisers Hyderabad. Probable XI: Prithvi Shaw, Shikhar Dhawan, Colin Munro, Shreyas Iyer (c), Rishabh Pant (wk), Chris Morris, Axar Patel, Keemo Paul, Kagiso Rabada, Rahul Tewatia/Amit Mishra, Ishant Sharma. The Mumbai Indians too have sported a side, which one cannot complain about. The major blow to the team could be the absence of Alzarri Joseph. The West Indian pacer, who delivered a record-breaking performance against SRH, has dislocated his shoulder and hence getting ruled out of this year’s IPL season. However, this may not be a major cause of concern for the team as Jason Behrendorff and Lasith Malinga have been consistent in delivering for their team, with the ball. Probable XI: Rohit Sharma (c), Quinton de Kock (wk), Suryakumar Yadav, Ishan Kishan, Kieron Pollard, Krunal Pandya, Hardik Pandya, Rahul Chahar, Jason Behrendorff, Lasith Malinga, Jasprit Bumrah. Shikhar Dhawan is yet to score a T20 hundred. He’s played 232 games & his highest score was the unbeaten 97* he scored against the Knight Riders. Kagiso Rabada is at an all-time high. The 23-year-old is the highest wicket-taker this year with 17 wickets in 8 games. His strike-rate – 10.94 is the 2nd best in the league. Only Dwayne Bravo(10.42) has a better striking rate. Shreyas Iyer, Shikhar Dhawan & Rishab Pant are 10th, 11th & 12th on the highest run-getters list. They’ve piled up 266, 256 & 245 runs respectively. Hardik Pandya & Kieron Pollard have been in red-hot from this season. Hardik has scored at 191.75 runs per hundred balls while Pollard has massacred attacks with a strike-rate of 177.88. Rohit Sharma hasn’t scored a fifty in his last 14 IPL games for Mumbai. anFight Fantasy Cricket is a part of the Fantasy Sports gaming genre. It is an online gaming platform where virtual team of real cricket players is created and points are scored depending on how the players are perform in live cricket matches. To become a contestant you need to Download the APK and Install the app on your Mobile. So, if you really want to enjoy this Daily Fantasy Sports, then you need to visit FanFight website where you get the chance to play it and earn some extra cash. IPL Real T20 Fantasy Cricket Leagues and ICC World Cup 2019 made extremely easy on FanFight. Play IPL Fantasy Cricket Game online now and win cash daily up to 1 crore. Register to FanFight Fantasy Sports. Download APK and Install the App. Start Playing on India’s Biggest Fantasy Sports Portal, Winning Starts here with your Dream Fantasy Cricket App. Play Fantasy Cricket Game Leagues like IPL, T20, ODI & Football. So what are you waiting for Pick your Mobile…Download and Install FanFight Fantasy Cricket App and Start Playing…..Use Coupon Bonus Code: First100 & Get 100% Deposit Bonus upto Rs.500 on Your First Transaction. Sport is generally recognized as a system of activities which are based on physical athleticism or physical dexterity. The number of sports practiced across the globe are plenty in number and people across the globe have a propensity towards getting into the finer details. To be precise, sporting nerds have a liking towards understanding the sport to the extremes. Fantasy Sports in this regard has been an absolute blessing for this breed and since its inception, it has only acquired more people into its radius. Fantasy Sport(s) is nothing but assembling virtual teams of real players of a professional sport. You pick a sport, select a fixture, create your team from the players listed and compete against other fantasy players. India is one of the most productive sporting markets and fantasy sports didn't take long to settle down to a nicety. Fantasy Cricket & Fantasy Football were introduced to the Indian Market and since then the graph has only gone upwards. Cricket needs no introduction in our country and the other sports are slowly but steadily catching up. A look at the numbers shows us how enormous the growth has been. The growth has been exponential. Super Selector in the early 2000s was a huge hit but only a fraction of the Indian sporting population was aware of fantasy cricket. While it was played only for bragging rights it still didn't entice the number it's been able to in the past decade. Technology also has played an important role in upping the ante. The number of fantasy sports players has gone up from 20 lakh in 2016 to 2 crore in 2018 & the number is envisaged to exceed a colossal 100 million by 2020. The hidden factor for this growth in the number of fantasy cricket & fantasy sports is the passion the crowd has inculcated towards sports. Also, choosing players to form a fantasy team and earning points for real-time action is what every sports buff desires. From a pastime for users to a multi-billion dollar business. Fantasy Sports has widened its wings to all corners. It's not cricket alone. With the advent of multiple sporting leagues, fantasy sports is played across Cricket, Football, Basketball, Kabaddi giving geeks in the country an opportunity to demonstrate their sporting knowledge. Fantasy Cricket Leagues like the Indian Premier League, the Big Bash League, Bangladesh Premier League - fantasy football leagues like the English Premier League, La Liga and the other top leagues in Europe - NBA have only encouraged fans to stay inquisitive. Adding the opportunity to win cash daily whilst playing fantasy sports made it a potion that was bound to create a storm in the Indian market & it successfully has. When will it reach a saturation point? Or will it ever? There were very few Daily Fantasy Sports portals that hit the market when this phenomenon was only a seed. It's grown into a vast platform now and fantasy sports portals have sprung to life ever since. FanFight is one such portal that provides users with top notch fantasy cricket and fantasy football experience. In only a year it has garnered over 1.5 million fantasy users. It has also adapted to this market with flamboyant aplomb. FanFight has recognized the users' demands and worked upon it with utmost diligence. Version 2.0 was introduced to take fantasy sports experience to a more magnificent level & the response from the fantasy sports universe has been overwhelming. New features like cloning (creating at least 10 similar teams which can be used for various cash contests), downloading a PDF sheet (with all the teams featuring in the contest) & super fast transactions have made FanFight a portal to watch out for and to install immediately in your mobile devices. What are you waiting for? Download the application now & start playing. Win cash every day and challenge some of the smartest sporting brains in the country. FanFight is the Best Online Real Fantasy Sports Portal in India. FanFight is the India's Top most Online Fantasy Cricket Platform to play Realistic Fantasy Cricket League Online. Want to experience fantasy cricket at its finest? Welcome to FanFight. Where cricketing expertise can help you win big. What are you waiting for? Play fantasy cricket daily on FanFight & win cash everyday. Play Fantasy Cricket and Win Cash Big on FanFight . Register to FanFight Fantasy Sports. Download APK and Install the App. Start Playing on India's Biggest Fantasy Sports Portal, Winning Starts here with your Dream Fantasy Cricket App. Get Deposit Bonus on Your First3 Deposits. On First Deposit 50% Bonus up to Rs.100, Second Deposit 40% Bonus up to Rs.200, Third Deposit 30% Bonus up to Rs.300. Fantasy Cricket has taken the world of fantasy sports in India by a storm. From being a regular fantasy cricket portal to becoming one of the finest in the country – FanFight has surely come a long way. The number of fantasy cricket players has skyrocketed in recent times and that has made a massive impact on how closely the sport is being followed. The cricket season is almost perpetual. And so is fantasy cricket on FanFight. The best part for all the cricket fanatics – they get to win cash every day. How impressive does that sound? The most amusing qualities about this portal are – i) It’s ridiculously easy ii) you get to compete with fantasy cricket users and iii) a win will yield you real cash. For a cricket fan, that’s probably everything he/she would be looking for. Brace yourself. Welcome to the world of extreme Fantasy Cricket. Welcome to FanFight. To play fantasy cricket on FanFight, you’ve got to the install the application first or be a part of it using the FanFight URL on your laptops. Once you’ve registered successfully, you can pick a fixture on FanFight, choose your best 11-man team, pick a cash contest and you’re ready. Every Indian is a virtual cricket pundit and when it comes to opinions, there’s no shortage of those whatsoever. Therefore, the fantasy cricket leagues listed on FanFight gives them a chance to prove who gauges the game better. So far, the application has seen over 1.5 million successful downloads and the rate at which it’s going, the numbers are certain to go up. It’s the ease of playing fantasy cricket that makes FanFight unique and also the creativity it brings on to the table. The interface is magnificent, the transactions as smooth as butter and it features some of India’s smartest cricketing brains. That’s FanFight precisely summarized in a line. 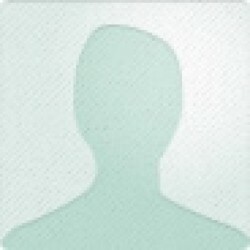 HOW TO PLAY FANTASY CRICKET ON FANFIGHT? After registering successfully, you can pick either cricket or football as your sport. A list of all the fixtures that you can be a part of will be displayed. You pick a fixture and you’ll be directed to numerous fantasy cricket & fantasy football leagues where you can put in money and compete to win real cash. The number of participants, the winning distribution is all shown when you opt for a particular Fantasy Cricket League. A fantasy cricket game on FanFight gives you an opportunity to get into the shoes of a manager or a coach, virtually. It enables you to think like one and if your gut and cricketing knowledge work in tandem, you end up winning cash. A lot of it. You get to play the fantasy version of your favourite game, compete against millions of users and win cash. That’s a match made in fantasy cricket heaven. FanFight is available on both Android & iOS platforms. It is also readily available on the web where you can pick a sport & start winning. FanFight is immaculately brilliant on both Android & iOS. It’s only imperative for a user to play more once the application is installed. If cricket is a religion in India, fantasy cricket is a subset of it. The only prerequisite to Playing IPL Fantasy Cricket on FanFight is some basic cricketing knowledge. You don’t have to multiply a thousand numbers nor do you have to integrate sin & cos functions. The number of fantasy cricket players is all set to reach 100 million by 2020. Now you know why. Download FanFight on your devices & experience fantasy cricket at its absolute best. This fantasy cricket app is only a touch/click away. Start playing & more importantly start winning cash every day. Register to FanFight Fantasy Sports. Download Fantasy Cricket APK and Install the App. Start Playing on India’s Biggest Fantasy Sports Portal, Winning Starts here with your Dream Fantasy Cricket App. Get Deposit Bonus on Your First3 Deposits. On First Deposit 50% Bonus upto Rs.100, Second Deposit 40% Bonus up to Rs.200, Third Deposit 30% Bonus upto Rs.300. Play Fantasy Cricket on Fanfight and Win Cash Big. Sport can be generally recognized as a system of activities which are dependent on physical dexterity. Add the word fantasy to it & it becomes a whole new ball game altogether. The one common factor between the two has to be the mental sharpness which is needed to outwit the opponents. Fantasy Sports came into recognition in the 1980s where a bunch of sporting nerds started picking players & compared points based on their real-time performances. The sport back then was baseball. Very little did they know that this idea would evolve into a multi-billion dollar business. There are numerous sports practiced across the world and the fantasy versions of them have allowed people to form a stronger connection. Also, the portals that host fantasy sports need to be credited, for they assure the fans to acquire more information about a particular sport. For example: If a cricketing fan wants to win fantasy cricket leagues, he/she will certainly keep a check on regular updates. If winning cash every day is the end result, the fantasy sports market is bound to blow the roof. How much? Only time will tell. The one sport that gets a majority of the crowd excited in India is cricket. You get every range of fan when cricket is discussed and when it comes to fantasy cricket everybody is a virtual pundit. Owning a team and experiencing how your chosen teams perform is the closest a user can get to the real form. When there's a possibility to compete against millions of cricket fans and win cash - that's what Fantasy dreams are made of. Fantasy Cricket plays the protagonist in India while the other sports like Football, Kabaddi, basketball are steadily making an impact in the Fantasy Sports market. Super selector was the very first platform that introduced fantasy cricket to the Indian citizenry but the concept exploded into massive popularity since the 'win cash daily' concept was brought in. The number of fantasy cricket players has gone up from 2 lakhs in 2016 to 2 crores in 2018 and the number is envisaged to go up 5 times by 2020. What has caused this extreme change? For starters, the sport is accessible to the entire population almost & also every individual can readily connect to various fantasy sports portals. The user only needs to invest time & use his cricketing knowledge to compete against other minds. Fantasy Cricket is forming virtual teams and winning points for real-life performances of the chosen professionals. In India, there are countless fantasy cricket portals but the one which has been able to grab a lot of eye-balls is FanFight. In only 15 months this fantasy sports platform has been able to garner 1.5 million users and the number seems to multiply with every ticking second. An interface which keeps the user glued, quick & smooth transactions & creative features have made this application an immediate hit. Cricket is played throughout the year and fans are always in anticipation for fixtures to feature on FanFight's game centre. T20 leagues like the IPL, BBL, BPL & CPL, international games and the ICC tournaments are assuredly included in its game centre and there's a constant desire in users to pummel the other participants. The plus here - the users get to win cash if they go on to win the contests. FanFight thrives on providing users with the best Fantasy Cricket & Fantasy Football experience. Its diligence to get the country's finest cricketing minds together makes it one of the finest Daily Fantasy Cricket applications in India. Download this app, compete with cricketing buffs and start winning. Register to FanFight Fantasy Sports. Download Fantasy Cricket APK and Install the App. Start Playing on India's Biggest Fantasy Sports Portal, Winning Starts here with your Dream Fantasy Cricket App. Get Deposit Bonus on Your First3 Deposits. On First Deposit 50% Bonus upto Rs.100, Second Deposit 40% Bonus up to Rs.200, Third Deposit 30% Bonus upto Rs.300. Play Fantasy Cricket on Fanfight and Win Cash Big. Fantasy Cricket is an important part of Fantasy Sports genre and you can now easily download applications featuring all smarter facets that help you get familiar with all positive aspects. Now, in order to win games, you have to gain maximum points achieving the top rank in the leader board. This fantasy game is based on batting and bowling orders and you need to turn out with good strategies that are important to winning. You have to carry out a successful player selection to always stay in the hunt. The game can be played in all three forms – ODIs, T20s and Test Cricket. It’s recognized as a game of skill and you can now win daily cash prizes that give you the inspiration to keep on playing. And you need to pay attention to ensuring that you go ahead enjoying the entire game. Gradually India has become a massive cricketing nation and now is considered the best team as per its performance against all international nations. The game’s popularity has risen to such heights that today it is played using apps. The best of all is the Fantasy Cricket app. The chief features of Fantasy Cricket Apps are that they offer Fantasy Leagues for Cricket, Football and Kabaddi. It is totally a software-based app where users can create their dream team and win money. These app features contests, daily predictions and so on. Download fantasy cricket app and play fantasy cricket every day. Fanfight is a popular app nowadays and you can win daily cash prizes that give you the inspiration to play. The app is easily available and you can thus install this application on your smart gadget exploring the features in real-time. Well, you can say that it is indeed for the lucky ones. But you have nothing to worry as the lucky one can definitely be you. You can create your own luck over here by keeping just a few things in mind. The very first and the only thing you need to keep in mind is knowing all the rules and regulations involved in this game of opportunities. Half the battle is won if you are aware of the rules. If you think that you can move on without knowing the rules then you must be worried a little as you will always and definitely be a step backwards than someone who knows them. Once you are aware of the rules, you will definitely come to know that playing and winning a Fantasy Cricket League involves the perfect management of budget. The budget constraint fact makes the making of a fantastic cricket league a tricky task. As you cannot just pick up all the players, you must have the knowledge of how to mix big shots and young talents homogeneously. Choose big players and raw talents according to the budget you have. Hitting balls and breaking wickets are not just a matter of concern for a player. The main secret behind winning a match depends upon the game played according to the pitch. Sometimes the pitch turns out to be dry and sometimes dew plays an integral role. Those conditions are preferable to a batsman. Now if the pitch turns out to be ideal for a spin, the bowlers especially the spinners get the advantage. The pitch and ground can considered to be the keywords for a successful fantasy cricket game. Play strategically, choose the right players & start winning. Want to experience Fantasy Cricket at its finest? Welcome to FanFight. Where cricketing expertise can help you win big. What are you waiting for? Play fantasy cricket daily on FanFight & win cash everyday. Play the best fantasy cricket leagues on India’s finest fantasy cricket platform, FanFight. Participate in the various fantasy cricket fixtures listed out on our game centre & win cash daily. Compete with thousands of fantasy cricket players & show who the real cricket fanatic is. Fantasy Sports is exciting, it’s quick and it is an extremely common field of interest. In India where cricket is a religion, fantasy cricket was bound to make a massive impact and so it did. Over 20 million people play fantasy cricket in India and that figure is all in readiness to reach 200 million in the next two years. The impact of daily fantasy sports in the Indian market has been gargantuan & it’s doesn’t seem to stop. Fantasy Sports was a huge hit when it was introduced and it’s still a massive success among sports fanatics. It has always garnered attention, but it’s reached magnanimous heights since the concept of ‘winning cash daily’ was initiated on daily fantasy sports portals. Sport is always a trending subject and fantasy sports will always hold a high place on the charts. FanFight, for the creativity it offers, has always been hovering close to the top. FanFight is one of the finest portals for fantasy sports & over the course of its existence, the platform has only gotten better. WHAT DO YOU LOOK FOR IN A FANTASY SPORTS PORTAL? Fantasy Sports has been on the radar for a long time. Remember ‘Super Selector’? The concept was the same but it was majorly played for bragging rights. It was almost inevitable and pretty certain that this genre of sports was going to spring to popularity within no time. Fantasy cricket & fantasy football were the Sachin Tendulkar of the yesteryear. You always knew that this variant of the sport was going to have a colossal influence & slowly but steadily it eventually did. There are numerous platforms of fantasy sports all over the world. Sports include NBA, American Football, Hockey, Tennis and so on. In India, cricket was always going to be given the first preference. The moment fantasy cricket was brought out into the open it started creating a buzz. And the murmur has magnified exponentially. Every fantasy cricket user has certain criteria to rate a fantasy sports application. Is it ready to be installed? Is the interface creative? Do transaction on it happen smoothly? These are some major conditions to check the efficiency of a fantasy cricket & fantasy football portal. The platforms which adhere to every detail go on to garner more users. FanFight has done that to a nicety. It’s ready to be installed. The interface is as smooth as it can get and the transactions are rapid. FanFight has reached a user base of 1.5 million and that number will assuredly go up. Fantasy cricket on FanFight is easy, it’s appealing and the users get to win big every day. The chance to win cash daily keeps the users motivated and that transcends user loyalty to a whole new level. FanFight thrives on providing users with the best fantasy cricket experience. Are you a cricketing geek? Well, FanFight is the place to be. 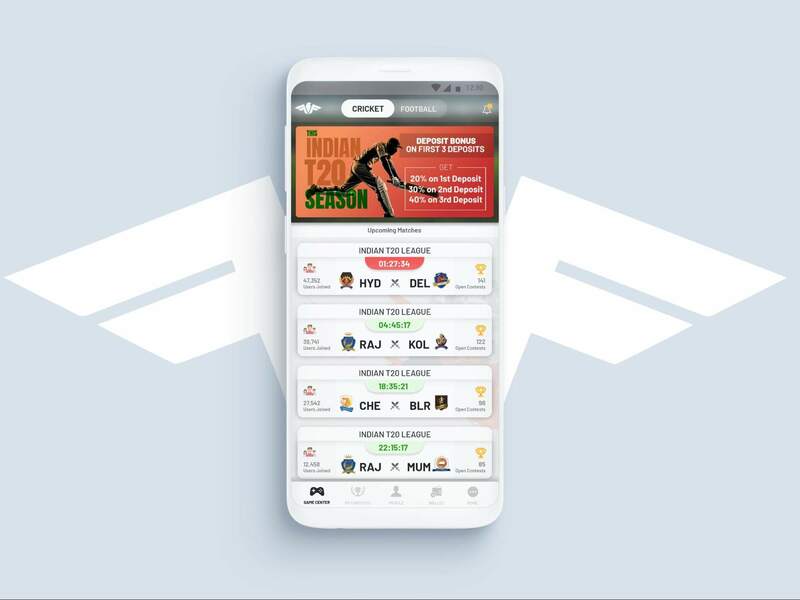 Creating a team, choosing a fixture and competing with the best cricketing brains out there is probably what every fantasy sports user desires. FanFight is tailor-made for them. FanFight’s game centre is every fantasy user’s haven. The numerous fantasy cricket leagues it offers are a treat to the eye. On FanFight, you can choose a sport- either cricket or football, pick a fixture, select a cash contest and create your best 11 to compete with thousands of users. All the cricketing knowledge can be put to use to win cash every day. With new features like cloning – where up to 10 similar teams can be created, PDF download- where all teams can be viewed and a brand new look 2.0, FanFight has managed to find ways to always top the trending charts. Play Real Fantasy Cricket Online & Win Cash Every Live Match @ FANFIGHT. Play Fantasy Cricket Game Leagues like IPL, T20, ODI & Football. Download Fantasy Cricket App & Get Rs.30 Cash Bonus. Fanfight is the Best Online Real Fantasy Sports Portal in India. Fanfight is the India’s Top most Online Fantasy Cricket Platform to play Realistic Fantasy Cricket League Online. Fanfight offers wide range of Daily Online Play Fantasy Cricket Games and Win Real Cash. Signup for Fanfight and Start Playing Fantasy Cricket League to experience the best Cricketing on our Fantasy Cricket App. So what are you waiting….. Download Fantasy Cricket App now and Start Playing and enjoy the benefit of Win cash Prizes. Fantasy Cricket is a part of the Fantasy Sports genre. Here you create a virtual team of cricket players and earn points based on their real-time performances. Cricket is the most widely played sport in our country & the fantasy version of it is equally exciting. Of course, you don’t need physical dexterity for this but knowing the sport will help you win cash every day. Cricket is a perpetual event. It is played prominently in a few countries, but the cricketing calendar literally never has an end. The various ICC tournaments, T20 leagues and the 5-day formats are played for major part of the year. Fantasy cricket is easy. One more reason why millions of people play it and when you have an added motivation to win cash, the thrill is only doubled. The concept of fantasy cricket on the various portals involves selecting a total of 11 players from two teams consisting of various player combinations. Super Selector was the very first version of fantasy cricket which was introduced in the late 90s and early 2000s but the genre has picked up rapidly and how. In 2016, the total number of fantasy sports players, let alone fantasy cricket was a mere 2 lakh. It read 2 crore in 2018 and the number is ready to smash 10 crores by 2020. From a mere pastime, fantasy cricket has grown into a multi-billion dollar business. The idea was inspired by Major League Baseball in the US. The Indian fantasy sports market, however, is dominated by fantasy cricket. You pick any random individual & question him/her about cricket, the chances are high that the person will be able to form a formidable fantasy cricket team. Let them know that India has numerous portals where you can form a fantasy cricket teams and win cash – you’ve hit the ball out of the park. To be precise, people are bound to get glued to this design. Fantasy Cricket wasn’t as big as it is now 20 years prior. But it was almost certain that if this idea is transported to India, it’ll yield huge profits. It came, it conquered the Indian market & it’s here to stay. Daily fantasy cricket will always be a hit. Moreso, in our country. India is the largest consumer of cricket and it’s scary to imagine what magnanimous numbers it’ll reach in the near future. The introduction of Fantasy Cricket portals to the cricketing world has been a huge boon. Also, the fact that numerous fantasy cricket platforms are making a mark in the Indian market is an encouraging sign. The ease of access is also an important factor and when that happens the times are rising. To cut it short, fantasy cricket is one fascinating blend of internet, gaming and cricket. With technology hitting new highs, fantasy cricket will reach more people and eventually the fantasy cricket phenomenon will only multiply. Fantasy Cricket leagues on FanFight App is easy! The user can register their teams and then compete against other users to see who wins the maximum fantasy cricket points and thereby various cash contests. These leagues are very popular during major Twenty20s tournaments like IPL, BBL, BPL, CPL, international matches and ICC events. Daily Fantasy Cricket had to be introduced to the Indian crowd. While there are numerous platforms which do this FanFight has excelled & has been able to maintain fine quality. Play Fantasy cricket on FanFight & win big. Sounds more like a promotion but that’s an obvious fact. Anything related to cricket will work remarkably well in India and fantasy cricket worked brilliantly. How did FanFight work? It has managed to garner 1.5 million users in only a year. Download this fantasy cricket application and start winning right away. Winning starts on FanFight & it’s your chance to win cash every day. What are you waiting for? Download the app now & win big daily. The Indian Premier League is the most snobbish cricketing league in the world. Without a shadow of a doubt. It features the best players in world cricket and is watched by millions. The brand value of the IPL was estimated to be around US $5.3 billion after the 2017 season. Sums up as to how massive this tournament is. The IPL is the most-attended cricket league in the world and is contested during the Indian summer. Mostly during April-May every year. In 2014, it was the sixth most watched sporting league and became the most-attended cricketing league in the world. T20 cricket hit the roof when this tournament was introduced and ever since its inception it has played a critical role in improving fantasy cricket across all the currently available portals. IPL Fantasy Cricket on Fantasy Sports portals is an absolute no-brainer. Fantasy cricket users & fantasy cricket portals wait for the IPL league to arrive & when it does, it creates havoc. Havoc every fantasy cricket user likes to be a part of. T20 cricket was probably one of the best inventions in the world of cricket. It’s fast, it’s enthralling and the results are out within 3 hours. Precisely what Fantasy Cricket is. Add IPL Fantasy to it & that becomes a world beater. There have been eleven seasons of the IPL and the fantasy version of it keeps getting better and more exciting with every season. Cricket has & will be a sport that gets the nation together. IPL Fantasy Leagues on FanFight to an extent do the absolute same. Doubleheaders on weekends and games almost every day. That’s 40 days of extreme cricketing action. Both for fantasy cricket portals and the fantasy cricket users. FanFight’s game centre is flooded with cash contests when these fixtures are lined-up. IPL Fantasy Leagues captivate millions of users & every time a fixture is scheduled on FanFight, the contests are full in a jiffy. Not only are people eager to win cash but they also are wanting to outwit each other. There’s a relentless urge among the cricketing fans to know who’s leading the table and how much cash they’ve won on FanFight. When the IPL season is on, choose a fixture, select the IPL league you want to be a part of, pick your best 11 and start winning. The 2019 season is only months away and this is the calm before the storm. IPL Fantasy Cricket on FanFight is probably what every fantasy cricket user must be eagerly waiting for. The tournament is yet to arrive. Until then, all the cricketing masterminds can hone their cricketing knowledge. Numerous international fixtures are listed on FanFight and you’re only a touch away from becoming a winner. Version 2.0 is pleasant, it’s efficient and obtains every quality a fantasy player desires for. Which fantasy players will you include in your IPL League team? Are you game? 20 million fantasy users played IPL Fantasy Cricket in our country last year. The number is bound to breach every record and to envisage the precise digit is rather intimidating. Play the best IPL Fantasy Cricket Leagues on India’s finest Fantasy Cricket platform, FanFight. Participate in the various fantasy cricket fixtures listed out on our game centre & win cash daily. Compete with thousands of fantasy cricket players & show who the real Fantasy Cricket fanatic is. Nowadays, you can get different Fantasy Cricket Apps featuring a smarter backdrop that helps you to come up with match predictions. And if you make the right prediction you can win daily cash prizes that give you the inspiration to start playing. You can now easily play the games online on your browser and thus you can enjoy the game anytime, anywhere. You can now get familiar with manifold free applications, which you install featuring all exclusive options. In this way, you can now get access to all good things ensuring that you comprehend the true importance of installing these fantasy cricket apps. Once you start playing the game you can share your feedback and also you can join the forums participating in the discussions. It aids you to get different information learning which you can get familiar with brilliant strategies. And even you can get good suggestions from experts that give you the poise knowing that you would become the real winner. Before you download the Fantasy Cricket Game you must see the rating that gives you a clear idea on the reputation of the specific application. It’s good to install the app, which has a higher rating and positive reviews, as you can get an idea of users to feel playing the game. First, you need to sign up creating the profile that gives you the access to begin playing the game. Make sure you enter all correct information including your bank details that you would need to withdraw the money. Now, it’s time to choose the players depending on which you would achieve good scores that make you feel happier. Ensure that you have a smartphone with Android operating system that aids you to install the app at your ease. Apart from cricket you can now certain other games like hockey, kabaddi, football etc. that helps you to keep on playing without any interruption. These apps are available on Google Play and thus you can choose the suitable one and download it on your gadget. Once you start playing you have to keep track of every game knowing how the players are performing ensuring that you explore the real fantasies. Here, you would own a cricket team with all skilled players ensuring that you can easily achieve success. Now, you can also play with friends online that gives you the inspiration to take the real challenge. You can now get familiar with all known faces that make the game more exciting and thus you can get access to all modern aspects of technology. It’s time to choose with whom you want to play and accordingly you can create a nice platform that helps you to score well. And it’s good to know that you would get technical support if you face any difficulties while playing the game. Make sure you can speak to the representative at any point of time that helps you to get rid of all the worries knowing that you are in the right place. Thus, you can now feel confident knowing that you can now play the game in your way and also you can get support when you need. You can now get chat support where you can write your queries getting an immediate response that makes the process easier. Next, you can opt for email support that helps you to get a good experience knowing that you choose the right players. Finally, you can now explore how fantasy cricket games bring in the true thrill and you can now Play Fantasy Cricket anytime, anywhere. Play the best IPL Fantasy Cricket Leagues on India’s finest fantasy cricket platform, FanFight. Participate in the various fantasy cricket fixtures listed out on our game center & win cash daily. Compete with thousands of fantasy cricket players & show who the real cricket fanatic is. The Indian Premier League is undoubtedly the most pompous T20 cricket league in the world. Cricketers from all over the world desire to play this snobbish league & it’s the perfect platform for any young aspiring cricketer. The league has grown magnanimously & over the years the fantasy cricket version of the IPL has grown leaps & bounds. In fact, IPL can be used as a synonym for fantasy cricket. It’s fast, it’s exciting and it sure is addictive. 20 million people in India are a part of the fantasy sports bandwagon and most of them are fantasy cricket users. The number is envisaged to reach a whopping 200 million by 2020. FanFight for certain has played a massive role in bettering fantasy cricket & fantasy football experience & that in turn has magnified the number of fantasy sports players. 60 exciting T20 games over a period of 2 months. Well, that’s the place every fantasy cricket nerd would want to be. IPL fantasy cricket leagues draw a lot of the cricketing crowd. It’s an absolute pandemonium out there on FanFight when the IPL season gets kicking. Every cricket fanatic wants to play fantasy cricket on FanFight, outwit his opponents & win cash daily. The cricketing minds are at their sharpest when the IPL is around the corner. Cricket is massive in India & when the most stylish league in the world takes centre stage the fantasy cricketing fraternity is certain to hit the roof. What happens when the best fantasy cricket portal in India hosts IPL fantasy cricket leagues? One – there’s an absolute flood of fantasy cricket players wanting to win money every day & two – the number just doesn’t seem to stop. The smartest cricketing brains out there compete vehemently against each other. Winning cash daily is a major motivation but to outplay thousands of cricketing fanatics surely tops the chart. 8 quality T20 teams compete for the coveted trophy & a million fantasy cricket players lock horns on one of India’s finest fantasy cricket & fantasy football portals. Download FanFight, select a sport (either cricket/football), choose a fixture, create your best 11-man fantasy team & start winning cash. Does it get any easier? FanFight has garnered about 2 million fantasy cricket players within no time & it always seeks to provide the best fantasy sports experience. FanFight is the place to be. Winning certainly starts here! India’s finest fantasy cricket portal brings to you the most creative fantasy cricket leagues. Select a fixture, choose a cash contest, create your team & start winning. Play Fantasy Cricket everyday, win cash everyday. Fantasy Sports is assembling virtual teams of real players of a professional sport. You pick a team, competing against thousands of players & win cash. Numerous fantasy players connect with the sport of their choice vis-a-vis fantasy sports portals. How is this magnanimous world of fantasy sports expanding to the nth degree? Firstly, sport has become an integral part of everyone's life & is accessible easily. Secondly, adding the term fantasy to it has magnified its stature. Who wouldn't want to make money whilst following their favourite sport? In India, Cricket is the most prominent sport, followed by football & the rest are slowly but assuredly catching up. Fantasy Cricket & fantasy football are played by a diverse collection of audience. With the sport widening its horizon with every passing day, the fantasy version of it isn't far behind. Over 20 million users play fantasy sports and this number has gone up from a mere 2 million last year. As far as envisaging how much the number will go up to? The Indian Federation of Sports Gaming (IFSG) has made an estimation that the user base will cross 100 million by 2020. Out of the abundant fantasy sports portals in our country, FanFight has emerged as one of the finest. Daily Fantasy Cricket & Fantasy Football are readily available on this platform & it gives its users plenty to play for. A creative interface, the cloning feature (where 10 similar teams can be created), PDF downloads (where all the participating teams can be viewed), & a staunch user base make FanFight one of the favourite fantasy sports applications. Once you've installed the application & completed the registration process, you're good to go. You're in it to go up against many fantasy players who are massive sports fanatics. You need to choose a sport(cricket/football), select a fixture, pick a cash contest, create your team & wait in anticipation for your team to win cash. Easy? Of course, it is! How are fantasy points on FanFight calculated? The players you select, earn points based on real-time performances. For IPL Fantasy Cricket (in T20s), players earn 2 points if they feature in the starting eleven, 0.5 points for every run scored & 8 points for every wicket. The points system differs for all three formats. A detailed explanation of the points system is listed here(https://fanfight.com/pointsystem/). The same goes for fantasy football. The common factor though - the captain earns 2x, while the vice-captain earns 1.5x the points scored by the player in the live game. Hence, choosing the captain & vice-captain become extremely important. Likewise, the other players also must be chosen with detailed scrutiny. The major T20 leagues like the IPL, BBL, WBBL & ICC tournaments garner a lot of attention on FanFight as far as Fantasy Cricket League is concerned. While the top 5 European football leagues attract plenty of fantasy football fans. Fantasy sports on FanFight is not restricted to only football & cricket. Kabaddi, Basketball & Tennis are bright prospects & they'll be welcomed gleefully. The scope and impact of fantasy sports will continue to expand enormously in coming decades as every sport itself becomes ubiquitously available. Fantasy Cricket has been a massive boon for the fantasy sports fraternity & these numbers seem to only increase. In India, where the sport is so closely followed, fantasy cricket hasn’t taken time to settle in. Almost every Indian is a sports fanatic & has a perspective about the ploys carried out in a cricket game. Imagine owning a team virtually, competing with other cricket fanatics & making money out of it. Sound’s exciting doesn’t it? Well, that’s fantasy cricket, rather fantasy sports for you & that’s one reason this genre of virtual cricket will only get better. What’s the prerequisite to start playing fantasy cricket? Well, all you need is knowledge about the sport, a fantasy cricket platform & thousands of people who think likewise. 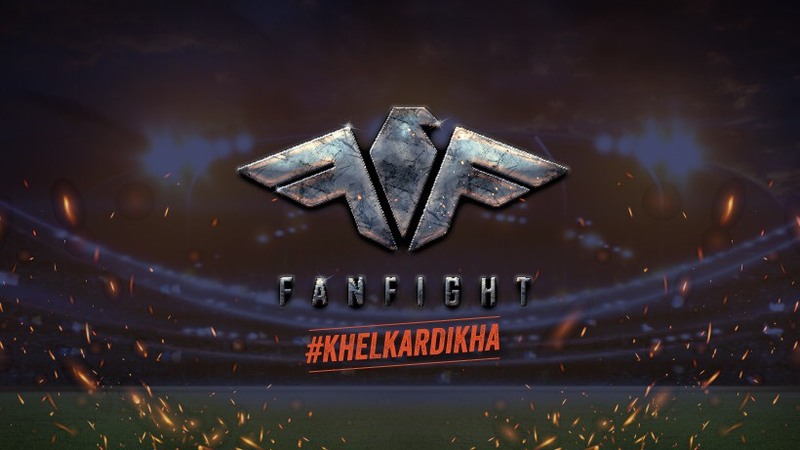 There are plenty of fantasy sports platforms in India, but one portal that has garnered a lot of attention for its creativity & for connecting fantasy cricket players like no other is FanFight. For starters, you need to install the application. You can download the application directly from https://fanfight.com/ (available for both Android & iOS). Fill in the required details & you’re good to go. Select the sport of your choice, pick from the various fixtures listed on FanFight’s game centre, choose a cash contest, create a team & start winning. Yes! It’s that simple. What are you waiting for? How to pick a Fantasy Cricket Team? Thousands of fantasy sports players use their sporting knowledge to win cash contests on FanFight. And to win against these smart cricket tacticians, your team selection ought to be immaculate. Winning on FanFight can become extremely easy if you keep in mind the following factors. 1) Always choose an in-form player. Picking a player who averages 50+ & hasn’t scored in the last 5-6 games might not go your way. All you need is a little research. Follow fanfight.com/blog for all the match previews. 2) Keep the pitch conditions in mind before picking your team. If the pitch is a rank turner include more spinners. If the turf assists pace bowling, include fast bowlers & if the pitch is tailor-made for batting, make way for more batsmen. 3) Always stay updated. Know the probable starting eleven from both the squads. Again, a little fact-finding might help you pick the perfect eleven. 4) Avoid personal choices. Select players who are scoring a lot of runs/picking plenty of wickets. If your favourite cricketer isn't scoring or isn't among the wicket-takers, it's only logical to not pick him/her. 5) Fantasy Cricket is an amalgamation of sporting knowledge, sharp instinct & a strong gut. A perfect recipe to win on FanFight or any other fantasy sports portal.